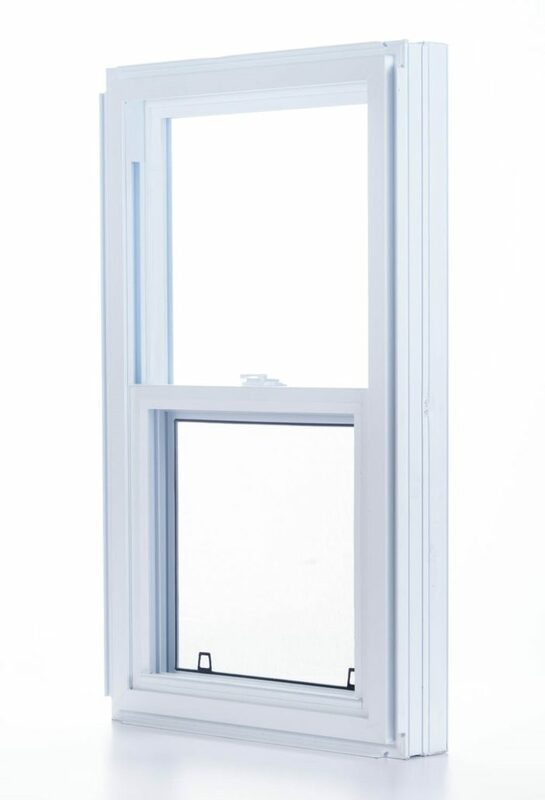 Single-hung windows contain two panels arranged vertically, with a movable lower panel that opens from the bottom up. Double-hung windows are also used, although the single-hung version is more common. 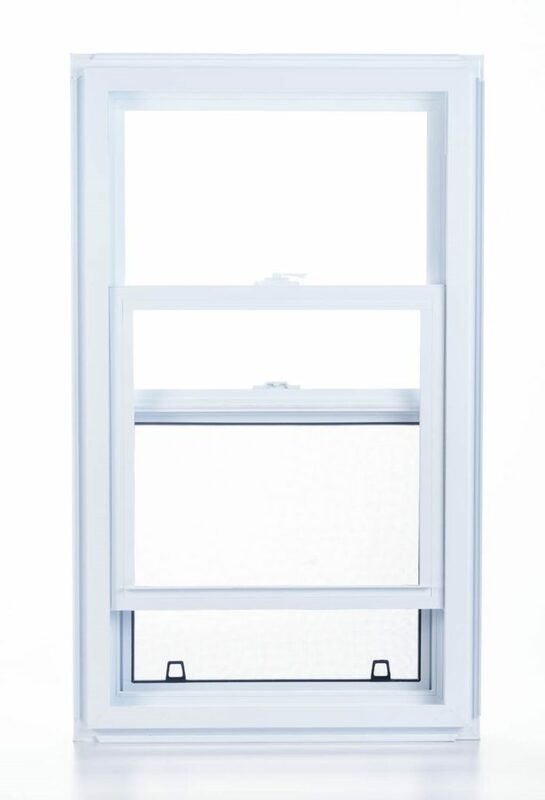 This is the window type most frequently found in old Quebec houses, and it remains very popular today thanks to its practicality and simple opening mechanism, which many people prefer to cranks. This traditional, English-style window features a large glass surface and is remarkably easy to maintain. Unlike the designs used in the past, newer single-hung window models have an interior panel that pivots inward. This greatly facilitates cleaning, especially for windows located on upper floors. The screen is located on the outside. Our single-hung windows are designed to withstand Quebec’s harsh weather. They are built to last and never go out of style! 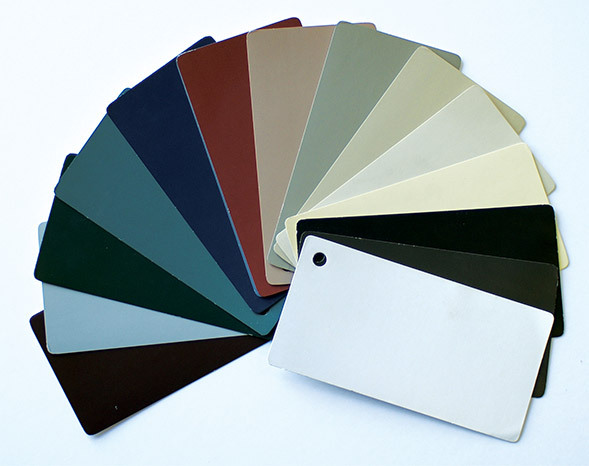 Depending on your design and architecture needs, the relative sizes of the upper and lower panels may be modified. An asymmetrical design gives the window a rustic character, while adding decorative grids to one or both panels creates an attractive finish and gives your home a more traditional look. 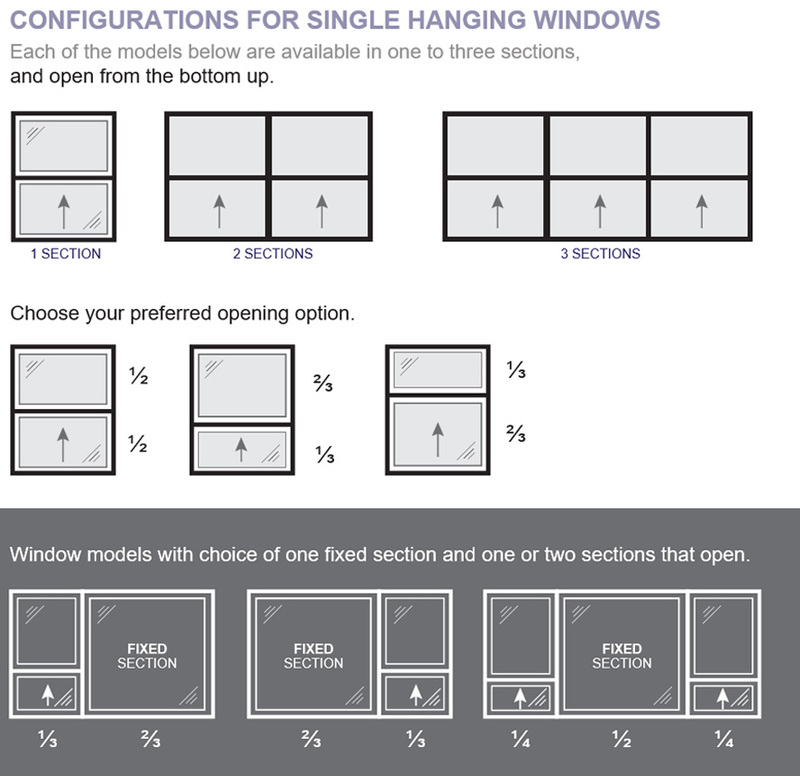 Single-hung windows can also be combined with fixed windows for endless arrangement possibilities! 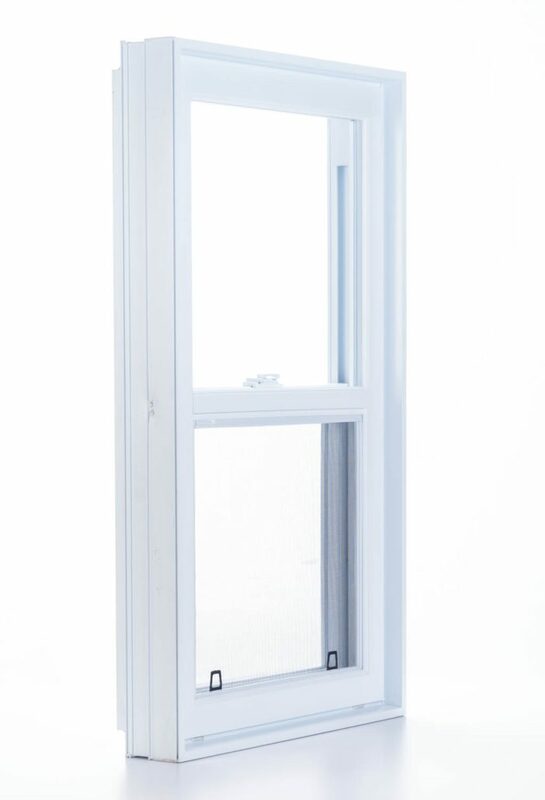 Single-hung windows are easy to clean and ideal for narrow and high spaces. They are also the best solution if you plan to install a portable window air conditioner.